Quiraing View on the Trotternish Peninsula of the Isle of Skye is owned and operated b Donna MacDonald. 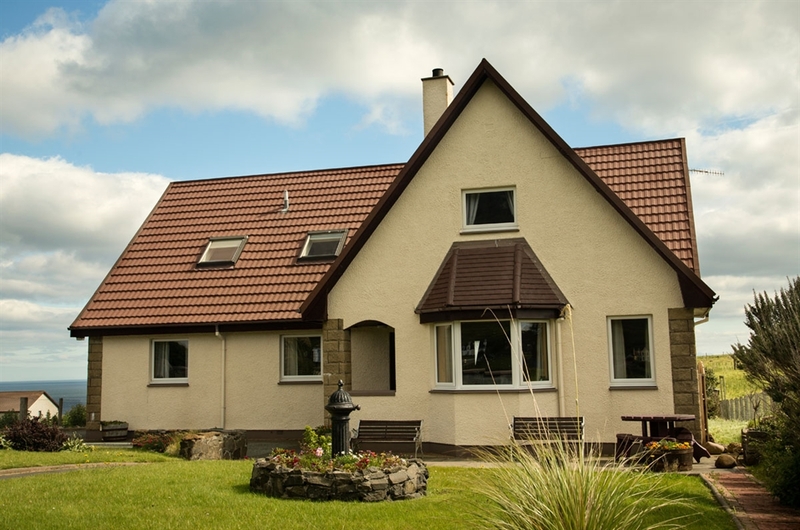 Gaelic is spoken in our home which is situated on a working croft. We overlook the Quiraing Mountains and share stunning scenery [The image opposite of our dogs was taken above Loch Fada, approximately 15 minutes walk from Quiraing View]. 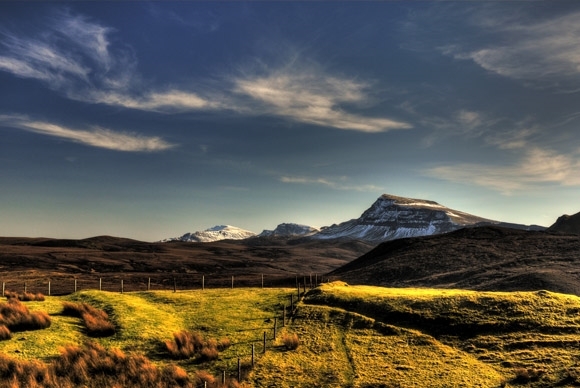 Staffin is a traditional crofting community which has retained its culture and way of life – hay is still being made and potatoes are still being planted! Working Sheepdogs can also still be seen in action. For walking enthusiasts some highlights are the walks along the Quiraing Ridge (where golden eagles can often be seen) and the Kilt Rock viewpoint. The Old Man of Storr is also close at hand. For fishing enthusiasts there is fishing available locally, both fresh water and rod fishing from nearby rocks. Boat excursions are available from Staffin Bay, weather permitting. If Island History is your interest there are two very good museums nearby, one situated in Staffin, the other in Kilmuir, our neighbouring community. Quiraing View is situated approximately 18 miles from Portree, the capital of the Isle of Skye. Approximately 15 minutes drive will take you to Uig, the main port to take you to the Outer Isles.